Foundation application can be complex for everyone. Blending it into dry spots, trying to cover those crannies, nooks and sliding it over oily skin can be quite troublesome. But using a right kind of quality foundation brush can make the application process easier. If you are using foundation brush for the first time, then it’s very important to know the basics, so that your makeup can be applied easily and flawlessly. Blending the foundation completely into the skin is really important and that’s what a foundation brush does. Today I am presenting top-10 foundation brushes available in India that can help you in applying foundation with ease and effortlessly. Following 10 are the best foundation brushes in India. This foundation brush from Lakme absolute range comes in a black metallic color pack. This medium sized dense paddle brush carries synthetic soft bristles suitable for both liquid or powder foundation. Application is very easy and gives you the most clear and streak free look. It is very easy to carry and store. 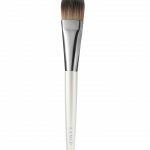 The Konad foundation brush is oval in shape which helps in easy application especially, reaching the areas around the eyes and ears. The product is soft yet sturdy and the bristles do not shed even after continuous use and washing. The flexible and long handle makes it quite easy to use. You can use this foundation brush to apply concealer as well. This brush from Clinique gives air-brush finish to your foundation and blends it like a dream effortlessly. This brush is perfect for all-over application and the bristles are made in such a way that application becomes easy around the nose, mouth, eyes and hairline. The bristles are flat tapered that gives natural looking skin. This foundation brush is apt for applying powder foundations as it picks the right amount of powder which doesn’t lead to product wastage. The bristles are roundly cut which allows circular movement and the handle is firm and sturdy too. The bristles are velvety soft and they do not shed even after frequent use. 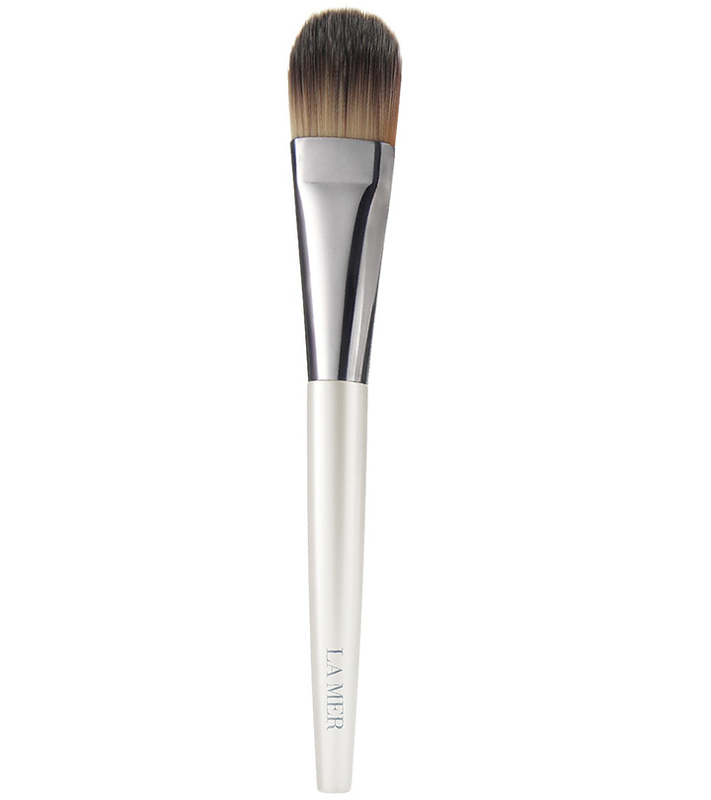 You can use this brush to apply pressed powder, loose powder or mineral foundation. This stippling brush from Bharat and Dorris is available in three sizes – small, medium and large. The bristles are made of goat hair and synthetic fibers which gives flawless finish and blends like a dream. The brush is flat-topped and full circular which makes it ideal for buffing and blending. You can use this with any type of foundation i.e. fluid, cream, powder or pigment. The price is also very affordable without compromising with the quality. Who doesn’t like 2 in 1 product? 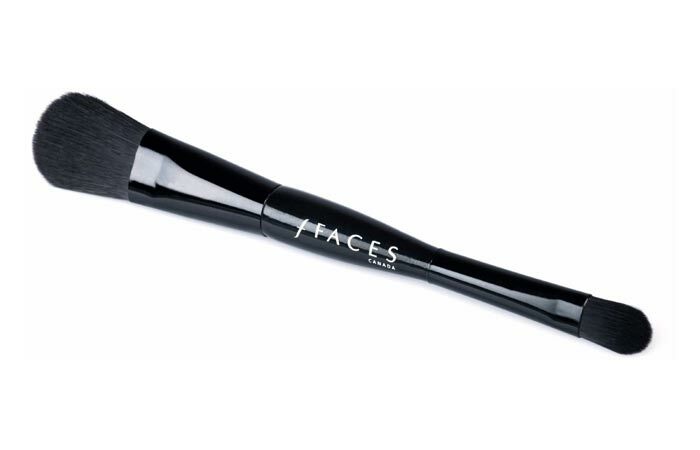 If you’re looking for a 2 in 1 foundation brush then this brush from faces is apt for you. This is foundation plus concealer brush suitable for both liquid or powder foundation. It makes blending easier and gives you polished flawless look. The bristles are soft and dense which helps in easy application and the bristles do not shed at all. The long handle helps in controlling, especially if you’re new with makeup. 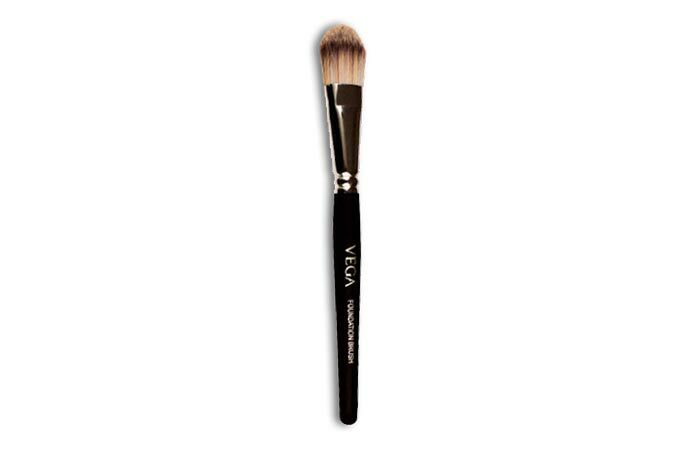 This foundation brush from Vega has flat bristles and brown in color which makes application easy. The long handle helps in gripping and controlling easily. It gives you even and fu­­­­­­­­­ll coverage, this one is very apt for leaning purpose in case if you’re a beginner. The bristles pick right amount of foundation and gives nice finish to the whole look. If you wish to get an air brush, natural looking, flawless finish, then this brush is ideal for you. 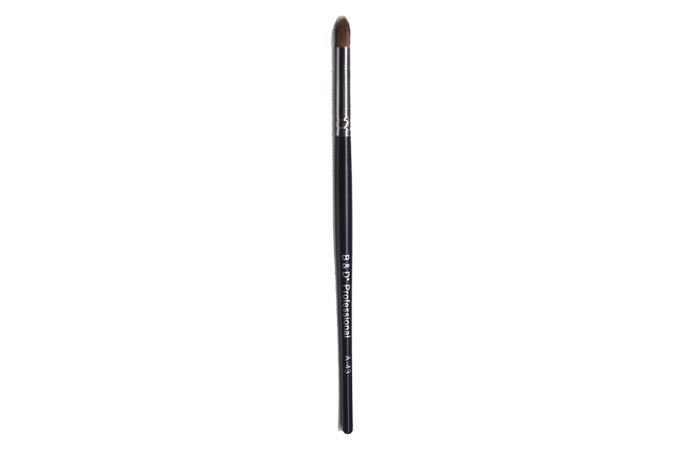 This Duo Fiber brush from MAC is large circular brush made from soft blend of goat and synthetic fibers. You can use it for cream, liquid foundations and it goes well with loose or compact powders also. The bristles are extremely soft and the quality is very great. 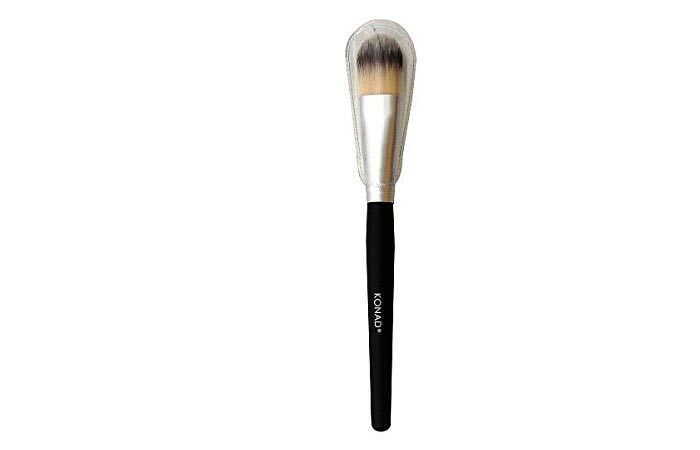 This brush from QVS can be used for applying liquid, powder or cream foundations easily for that radiant look. It blends easily and the bristles feel really soft on skin. The price is affordable as compared to other brands and it never sheds bristles which makes it ideal for daily use. The handle is firm which gives super control and its look is also very attractive. 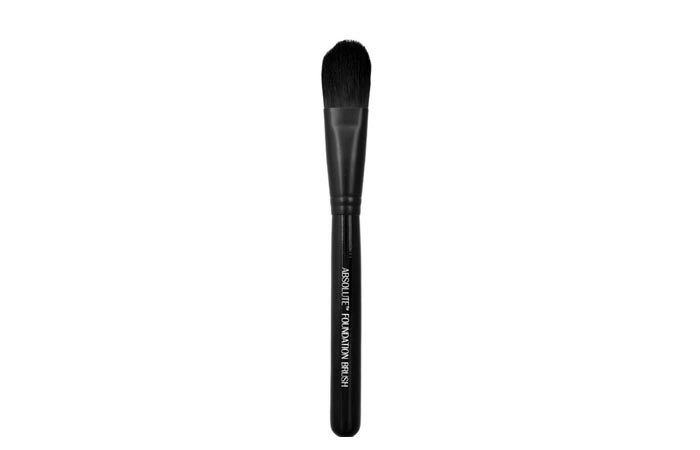 This brush has a black lightweight handle with baby soft bristles which are white & black in color. This foundation brush is from the professional range of Vega which helps you acquire that flawless look. It helps to stipple, buff and blend which gives you air-brushed perfect look. Bristles are sturdy which do not shed even after several washes. I highly recommend getting these 10 types of good foundation brushes for getting that dream look. I certainly hope this helps you decide which brushes are in demand, so that you can achieve that flawless look. Stay gorgeous!